This racing sailboat epitomizes the pain/pleasure metaphor. 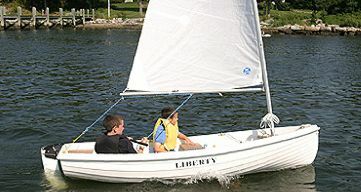 Now before I go on, I am a racing sailor. 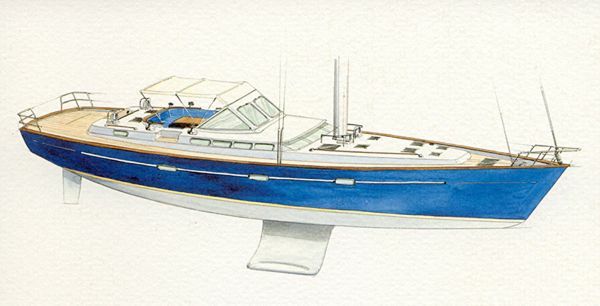 For me, G&T is reserved for the Yachtclub, not the aft deck, so this “Boats we love” might be a little biased, but the Melges 24 is a boat I love, and it’s awesome. 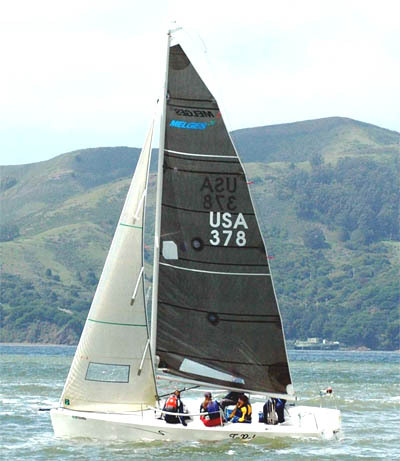 In 1992, Reichel/Pugh designed the Melges 24, and when launched in 1993 it immediately set the bar for high performance one design racing: well built, fast, simple with great tactical racing, and regularly seeing more than 100 boats at international championships. 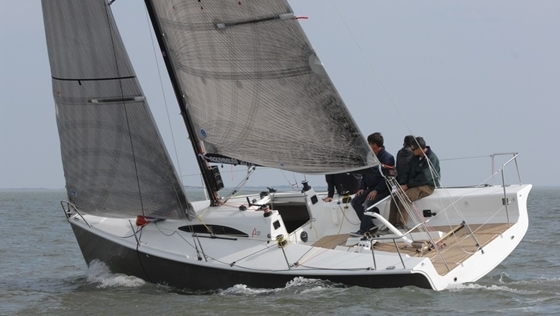 But these are not the only reasons why I love the Melges 24. During the bear away, the crew and I do our impressions of Bambi as the feeling returns to our legs, and the boat steadies onto a run. The 670 square-foot spinnaker is hoisted, filling with so much power it sweeps us from our feet, immediately followed by a bow wave that conveniently washes us to the back of the boat. As the boat powers up and planes, the log hits 19, 20, 21 knots with the bow lifting clear off the water. With boats on either side hoisting, gybing, charging or falling over, the upwind leg is a forgotten memory. Adrenaline is pumping. By now the crew is huddled together, and we begin calling each other Maverick or Jester (Top Gun), and the helmsman is focused on keeping the boat from becoming a submarine. 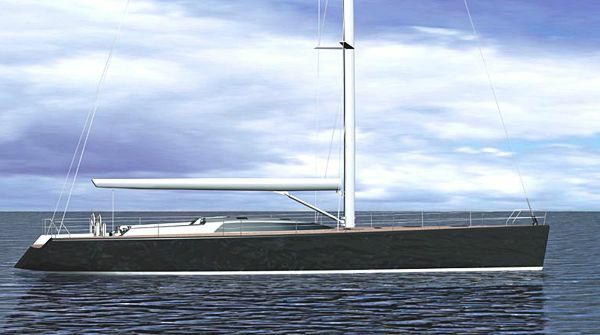 This is a boat that still sets the bar high for performance sailing after 20 years, and anyone who has sailed one downwind on a breezy day has that moment etched into his sailing memory. 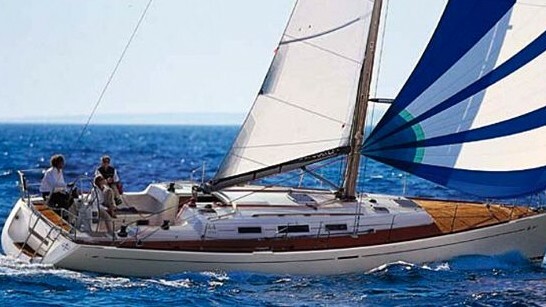 If you are reading this and own a Melges 24, give me a call if you need crew.